Feeding Hen is always a fun morning task because he will try MOST things. He first does a poke test to see if his little pointer finger likes the texture. He then puts it in his mouth for the taste. If the texture and taste pass his test, he will eat it. If it passes the texture test with his finger but feels weird in his mouth, he silently plucks it out and feeds it to the dogs. What a nut! Learning his little quirks is such an unbelievable experience. I see a lot of my quirks and pickiness in him. For his sake, I hope it’s just a phase. 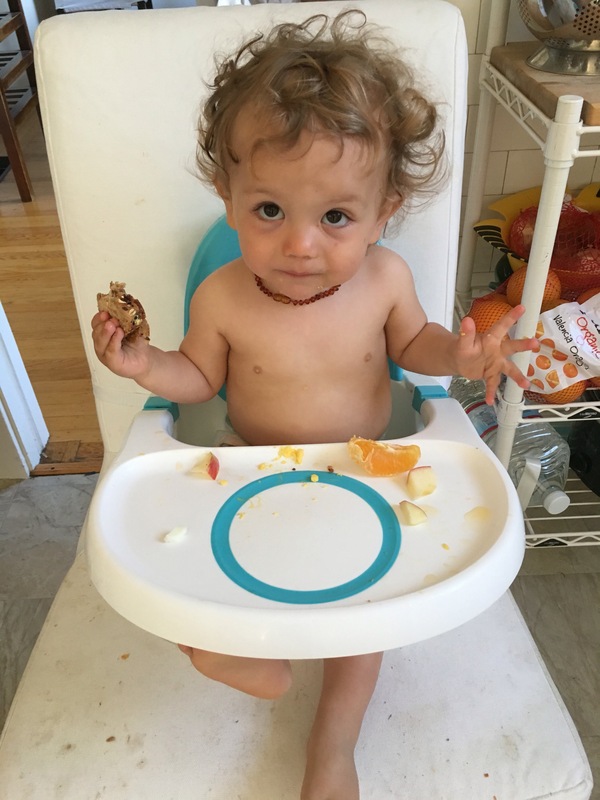 His favorite foods this month are oranges, bananas, peanut butter sandwiches, hummus, egg scramble with mushrooms + onions, zucchini (warmed up), mozzarella string cheese, and shredded chicken. As I’m busy rearranging the house to get the right “feel” for our family home, Henry is being very tolerant of being moved around the house from room to room to eat. (Thanks, bud). I LOVE spending time at home with my family. 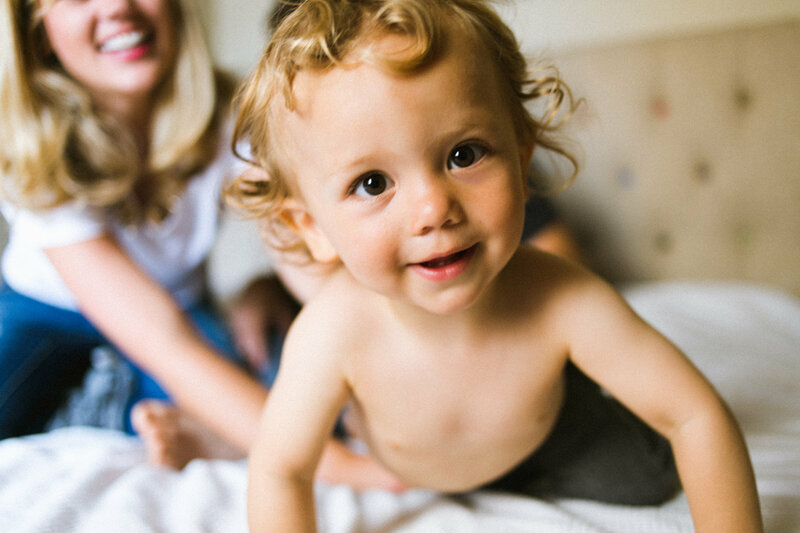 Whether we decide to dance to Bob Marley in our underwear or cuddle on the couch to read the same three books (for the 10 billionth time), my best memories and times are of the three of us being in our home. I don’t love spending time in our house. I love being at home, but not in this home. How do I fall in love with that? How can I change my perspective so that I can turn my negative emotions and feelings into something positive? How do I FIX this? I don’t know but am currently spending energy trying to figure it out. On to a happier note, I want to brag about Henry (of course)! He’s my sunshine. My heart. My soul. My everything. What you may not know is that THIS kid loves food. 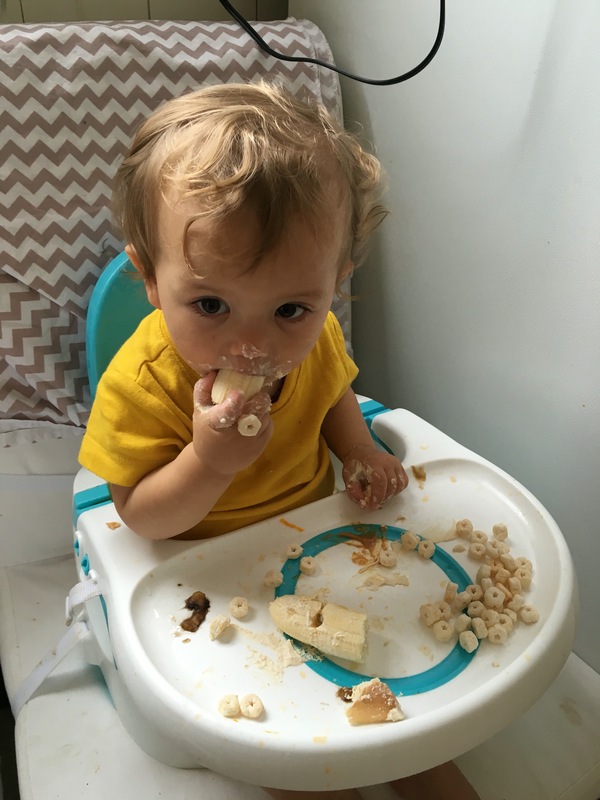 His favorites are bananas, hummus, bread (of any kind), and chicken. He has such a gentle, kind heart that he can’t eat without tossing food down to the dogs so that no one feels left out. awwwwwww!!!! Just look at that sweet sweet face! It must be noted that we are now in the phase of “helping” which means he will bring me his shoes to put on his feet, bring me wipes to signal a diaper change, and now he likes to have a napkin so that he can clean his face and hands off after eating. After the beach, we headed to grab a bite to eat at this cute little bakery in the Inner Richmond neighborhood of San Francisco called HeartBaker. YUM! It was delicious! 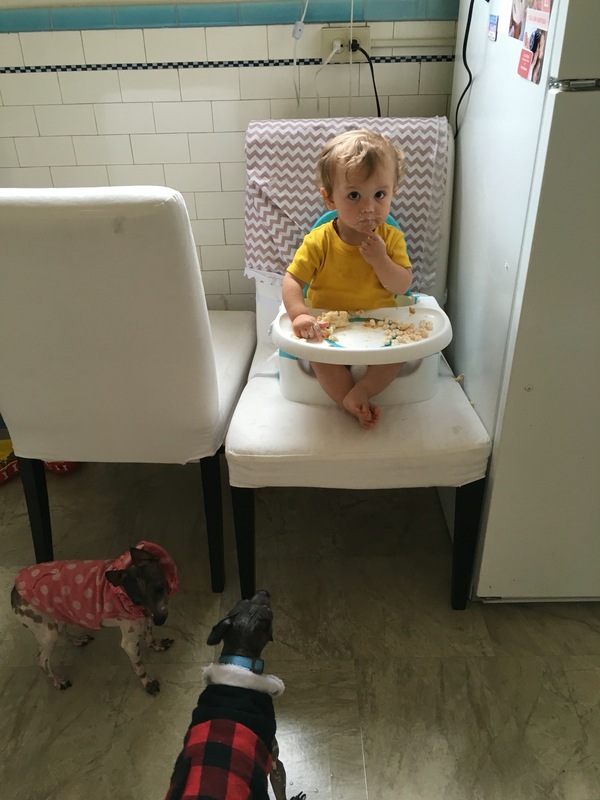 Henry loved the black beans and avocado from his daddy’s breakfast plate of huevos rancheros. The bakery is decorated in the most adorable way possible. …And the peppermint hot chocolate that they made was out of this world! I am dreaming of it as I type this out. This morning we added peanut butter to the breakfast menu. If I am to be honest, I was and still am a nervous wreck. I have an eagle eye on him while looking for any red dots, spots, splotches that would denote an allergy. I’ve put off the introduction of nut butters because I didn’t think I could handle the stress of an emergency room visit should he be allergic. Today I was feeling brave and did the introduction – so far, so good! Thank goodness! 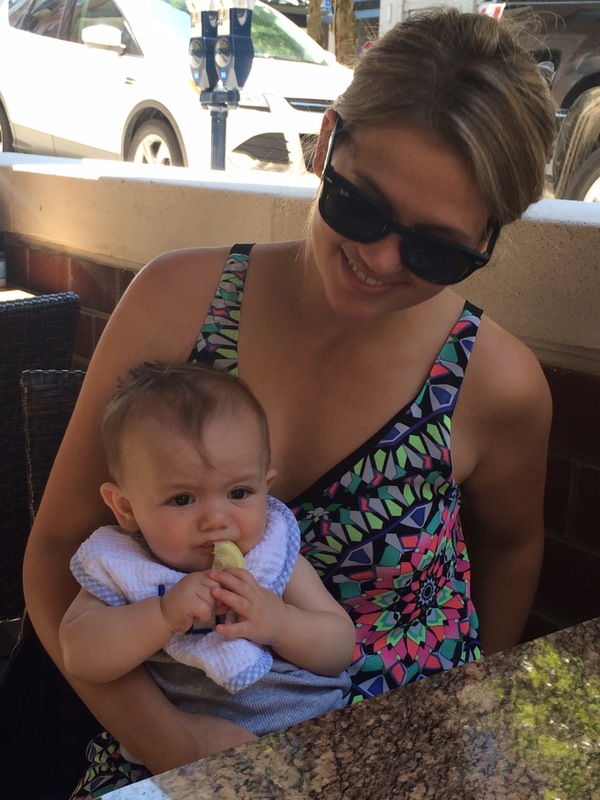 Baby Led Weaning is the bees knees. 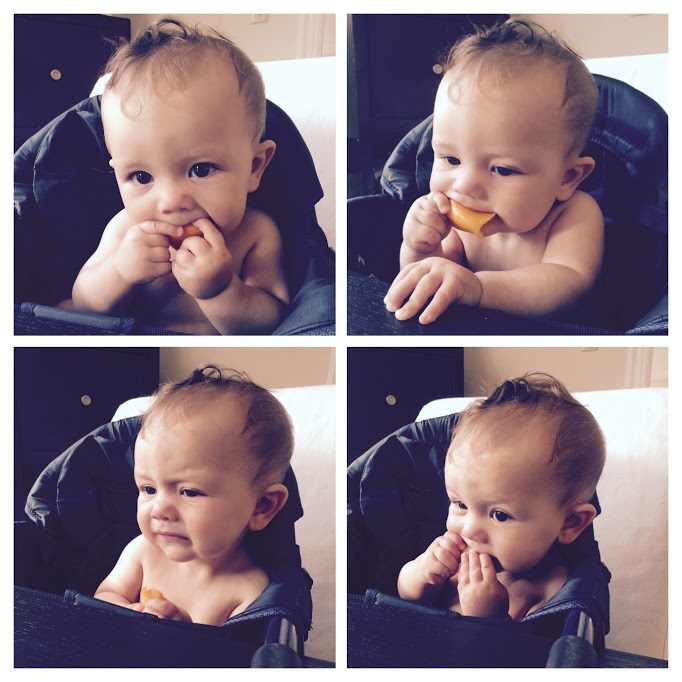 We are expanding our food repertoire to include crackers, carrots, and broccoli. I love seeing his little “tentacle” finger that inspects all of the new food. We continue to give Henry new food to try, and I can’t help but snap photos of the hilarious faces he makes. It sometimes appears he hates it, but then he keeps eating it so I assume he likes it. 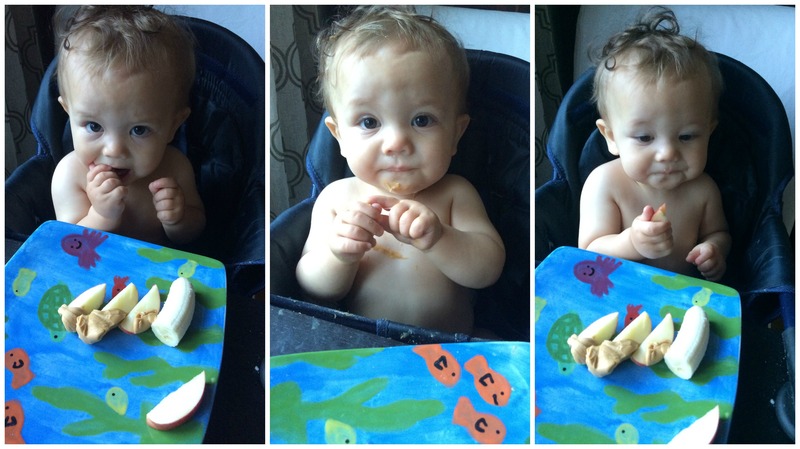 The photo above is a great example of the stages of faces we see when he eats. 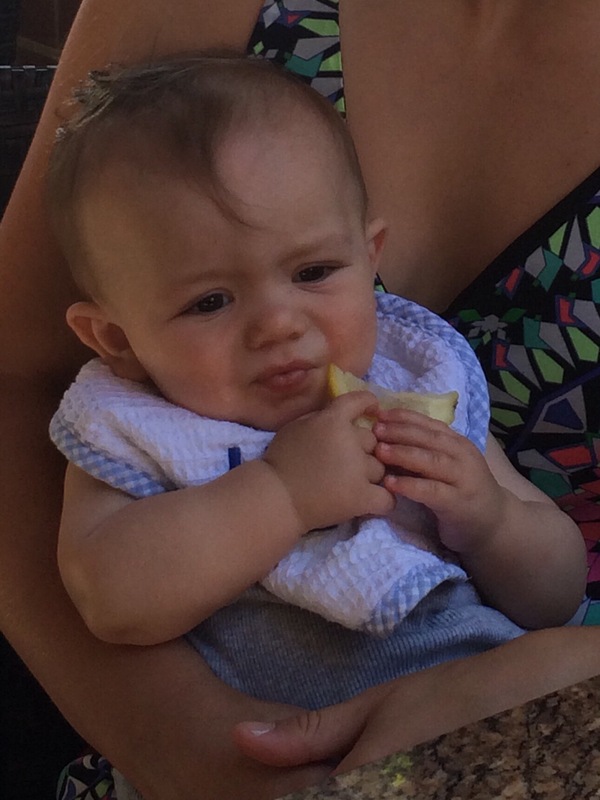 In this case, he is eating a yellow bell pepper. 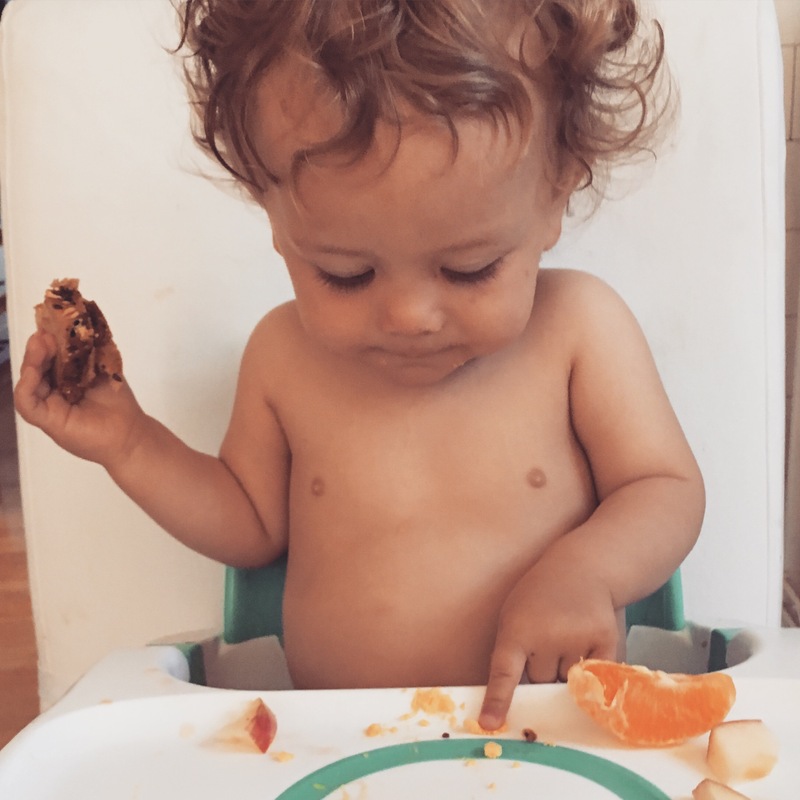 I have to be honest in saying that ever since we started feeding him fruit pouches and finger food, in addition to breastmilk, I’ve felt a huge weight lifted off my shoulders. Even though I absolutely love breastfeeding and cherish the moments we spend together doing it, having the pressure of being the only food provider brings a lot of stress. 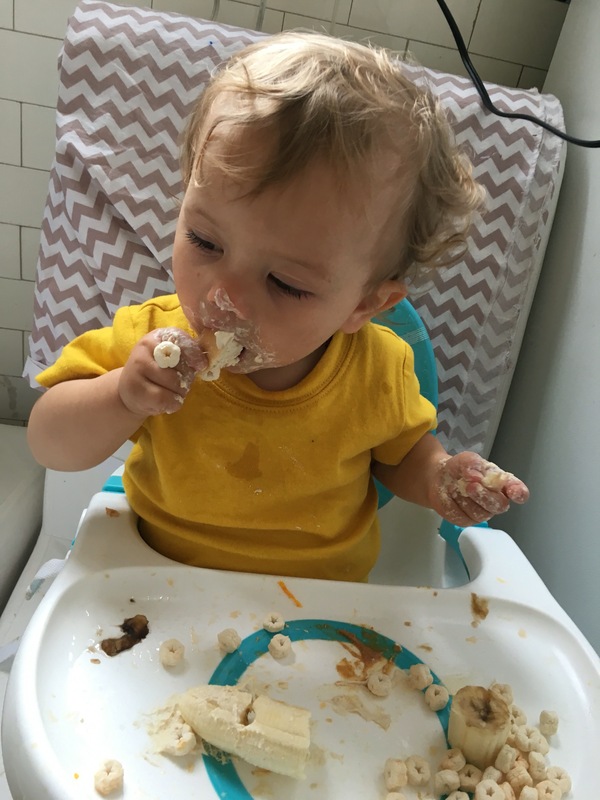 Especially now that I am a working momma, and I send him to the nanny with a few ounces of milk for the day because that is all I could manage to pump in between his on-demand nursing sessions. I love knowing that we can feed him actual food in the event I’m not able to provide a nursing session/bottle of expressed milk. His face is a direct result of a lemon! The result? Not sure…but he didn’t hate it. Every day with Henry is better than the day before! 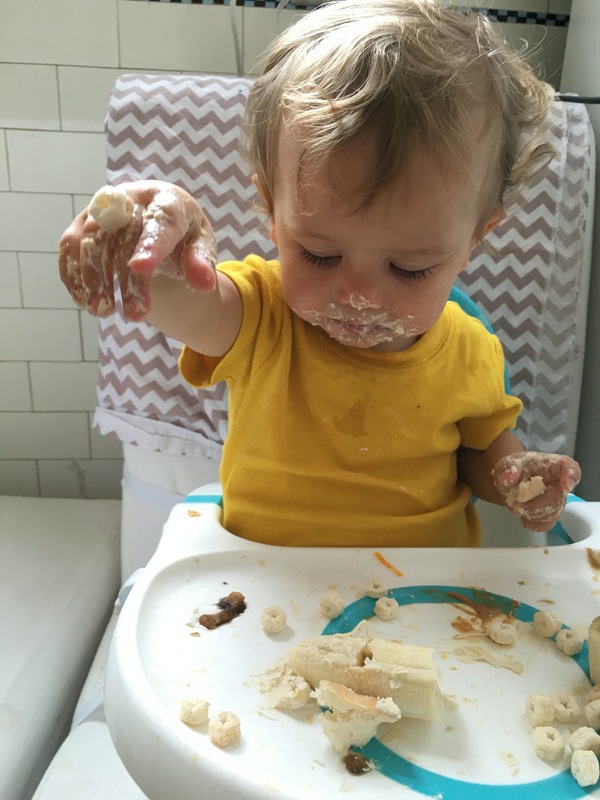 Especially since we started introducing solid foods! 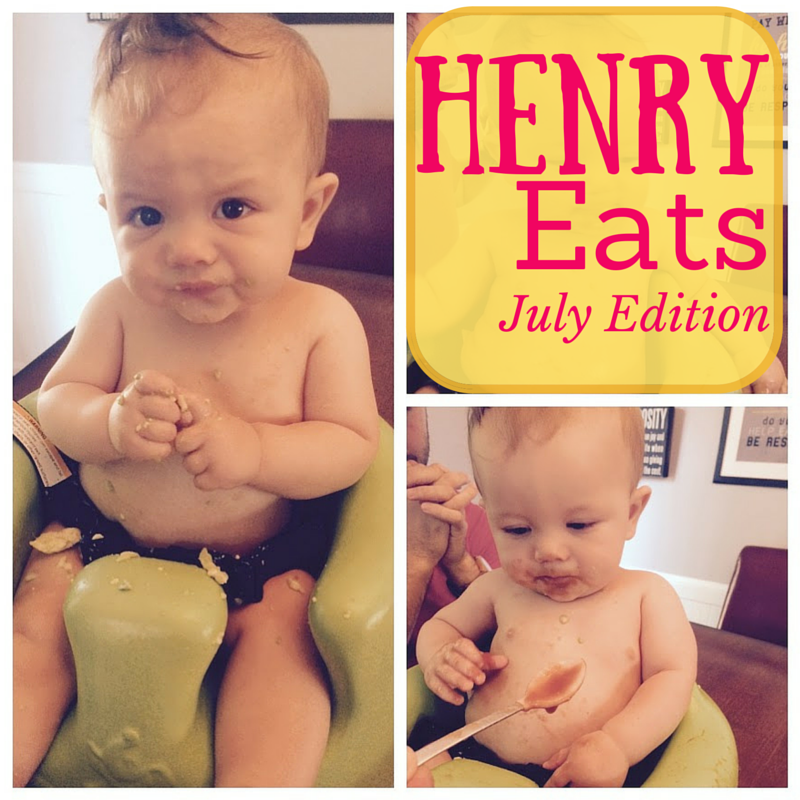 From avocado to fruit pouches, Henry is experimenting with different textures, tastes, and utensils.